A clean office environment is proven to help productivity! Commercial businesses spend millions of dollars on carpeting, upholstery, leather, and area rugs. This is why businesses across the country and around the world have chosen Chem-Dry to protect their investment and keep their commercial spaces healthy and looking great. From small retail businesses, to multi-location operations and coast-to-coast national accounts, Chem-Dry is there. 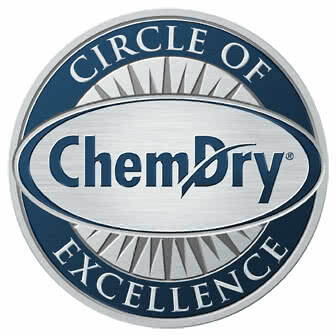 Chem-Dry is an international franchise with nearly 3,500 locations worldwide. This uniquely positions us to meet the carpet and upholstery cleaning needs of commercial customers that have locations all across New Zealand and abroad. See below our most frequent cleaning solutions available for your commercial business. Carpet is now the number one floor covering in most commercial settings. The advent of cubicles and workstations means that fabric can cover many businesses from floor to ceiling. It’s a big investment that needs to be protected. Commercial carpets cleaned by Chem-Dry stay cleaner longer and promote a healthier working and business environment for your customers and employees. Desk chairs, sofas, partitions and other commercial upholstered furniture in a business environment receive a lot of use. Our green-certified cleaner – engineered to be used with all kinds of upholstery, including some of the finest natural fibers and the hardiest synthetics – is safe and non-toxic. Chem-Dry’s carbonating process lifts dirt and soil to the surface of your commercial upholstery fabric using less water so your furniture dries faster and stays cleaner, longer. Chem-Dry is the world’s leader in both residential and commercial upholstery and carpet cleaning services, cleaning over ninety million square meters of carpet every year. Your business will benefit from Chem-Dry’s three decades of experience in the carpet and upholstery cleaning industry where we have consistently led the industry in innovative cleaning technology, environmentally friendly processes and customer satisfaction.